new library Archives | What Should We Do Today? 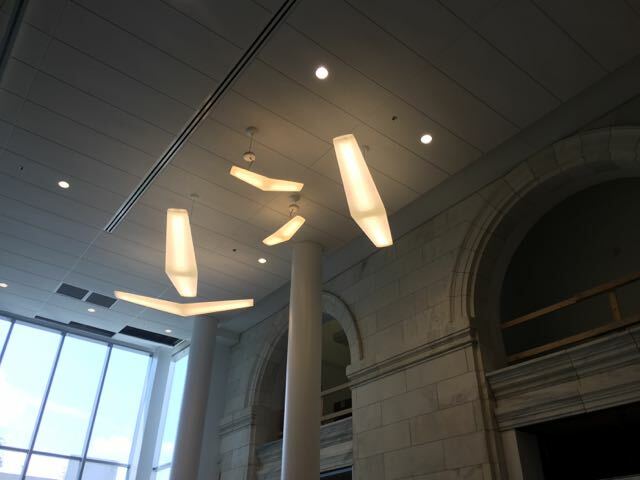 Yesterday, I attended the Media Preview of the soon-to-open new Main Library! The transformation inside is pretty amazing! It’s almost hard to imagine that it is the same place! Don’t get me wrong, I thought the old library was pretty awesome, but this renovation has turned Main Library into a totally new place. 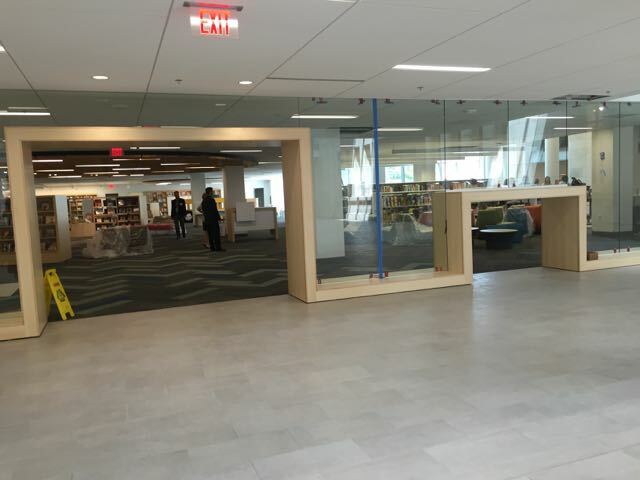 Columbus Metropolitan Library has a vision for the library that is evident, intentional and actually unfolding before our eyes. (See the pictures from my hard hat tour in May at: 10 Things to be Excited About at New Main Library.) When you visit, you’ll see that the focus has shifted from “collections” to “connections”. 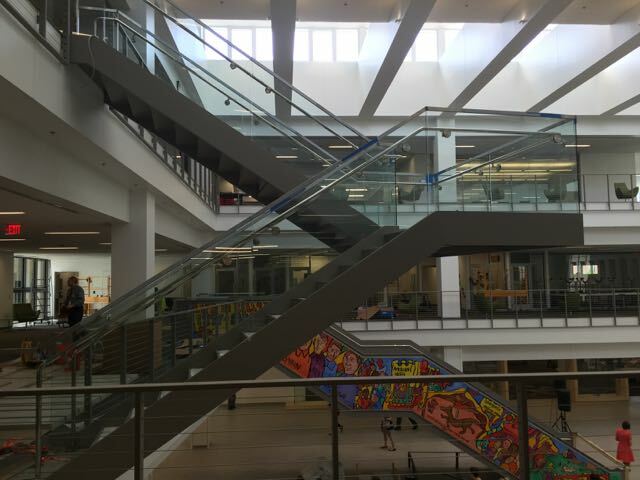 Main Library has been literally opened up to foster transparency and community. A lot of thought has been put into how “young minds” will move through the library as they grow into tweens, teens and finally adults. 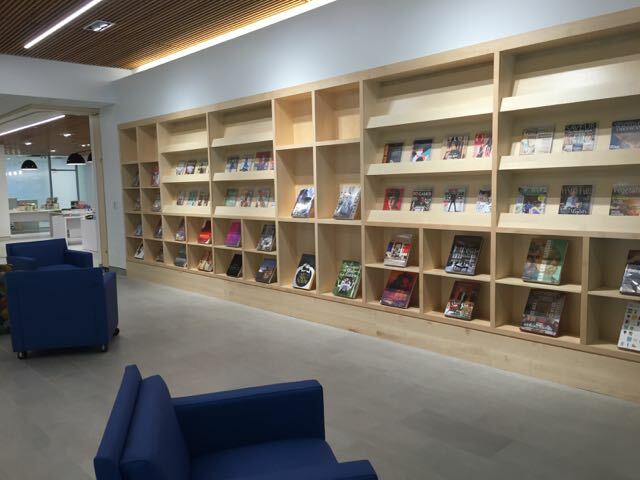 Through the actual, physical set up of the library, they are encouraged to envision themselves as a productive part of the Columbus community. 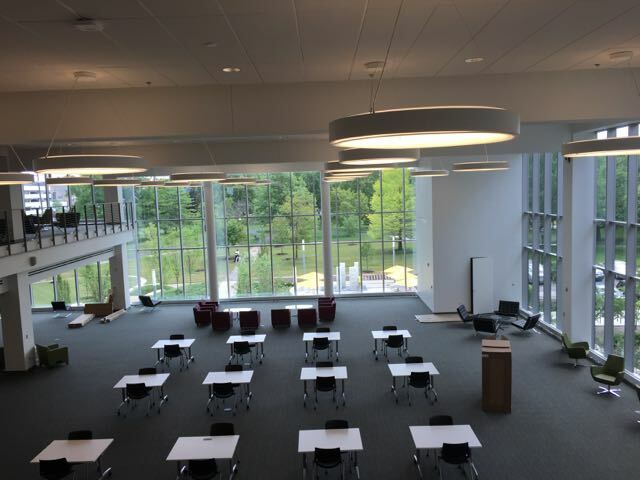 The library officially opens to the public on Saturday, June 25th with the dedication and ribbon cutting beginning at 12:00 noon. 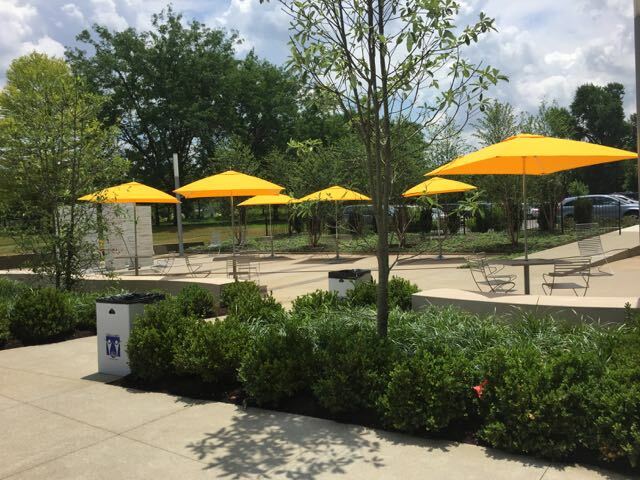 A celebration follows that includes entertainment, activities, an art show, and a concert and movie in Topiary Park! Sunday features an Author Talk with David Baldacci at 2:00 PM. See this link for all the details! 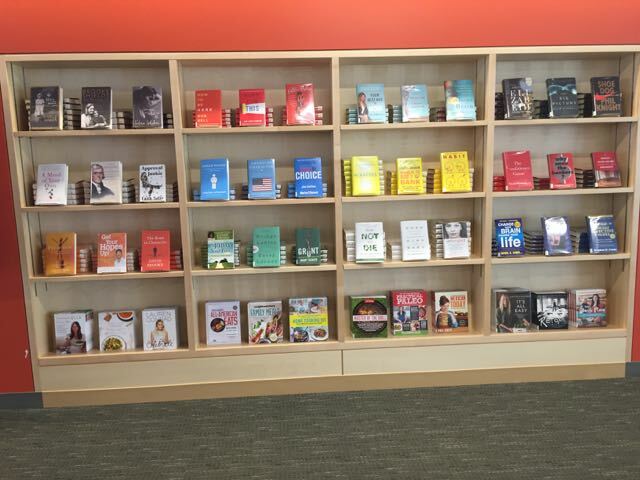 There is something new for everyone at Main Library. 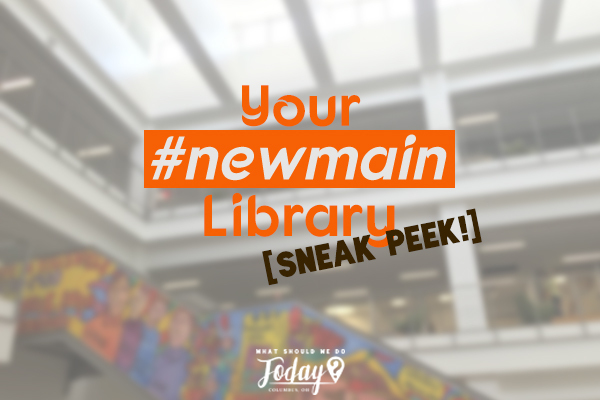 Enjoy this “sneak peek” of your #newmain library! A separate (smaller) entrance for the kids into the Children’s Department! Open space for reading and playing. Lots of space for books, of course! The Children’s Department focuses on getting kids Ready For Kindergarten. It also offers a space for Reading Buddies to help prepare kids to pass the 3rd grade reading test. 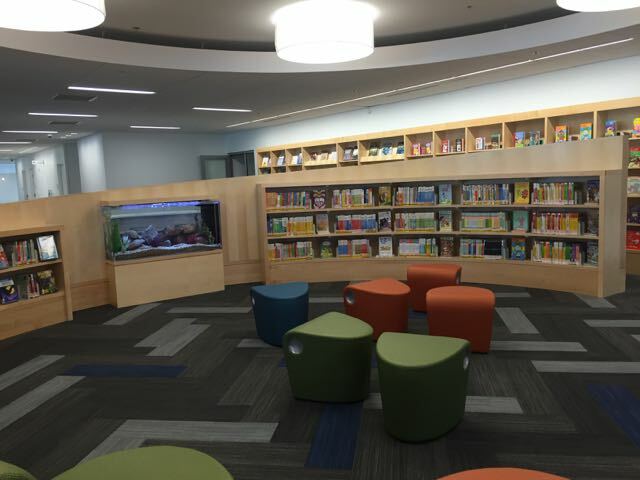 Storytimes and public programs will happen in this open space! Little kids can actually climb into these holes to work on computers! Under these cool lights is the Homework Help Center where tweens have their own entrance (you know, away from those little kids! 😉 ) and their own area to explore and develop. 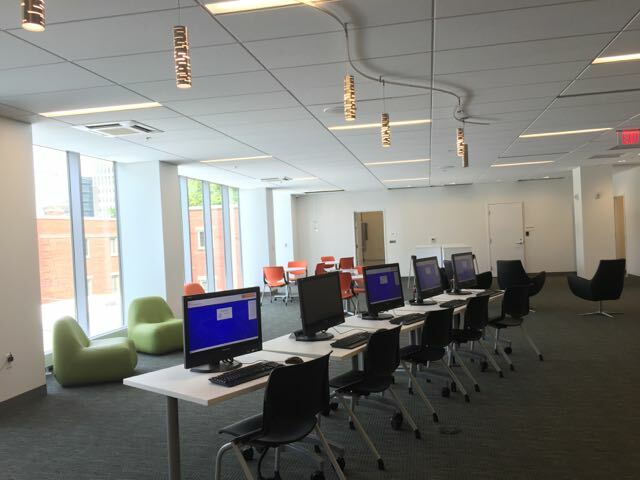 The breathtaking view of downtown from these computers, which are exclusively for teens, is meant to inspire teens to dream about their futures here in Columbus. Behind them is a board room with glass walls that offer teens a view of an adult life that can soon be theirs. This is the “collaboration couch” for teens to work together in groups and have a safe space to hang out. 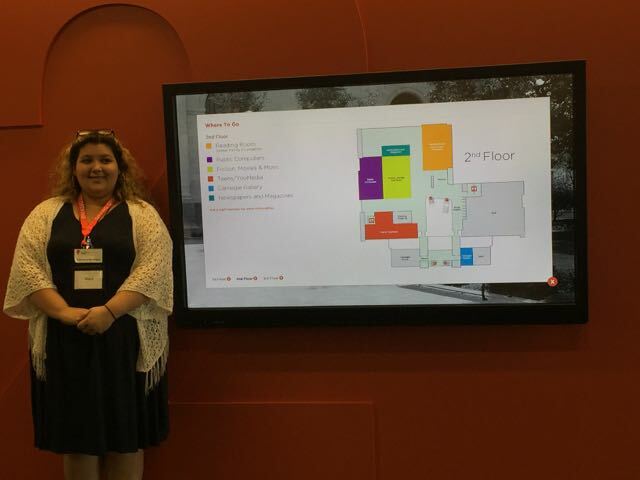 Each floor offers a Discovery Board with an interactive map. All meeting rooms have iPads outside the doors displaying the daily schedule. The Reading Room, with lots of natural light and views of Topiary Park! 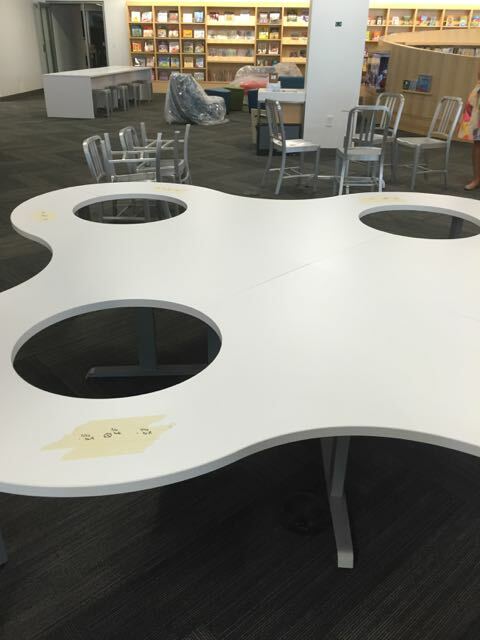 Space for reading and collaborating. An outdoor reading room with access to Topiary Park and free Wi-Fi! 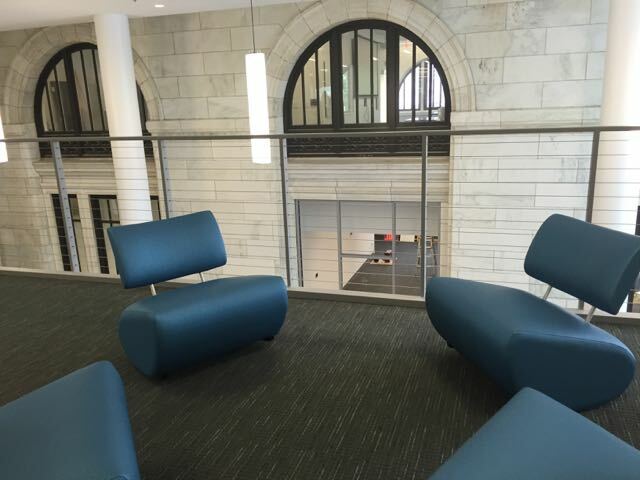 More open seating for reading and connecting! The Carnegie Cafe, a spot for our caffeine fix! 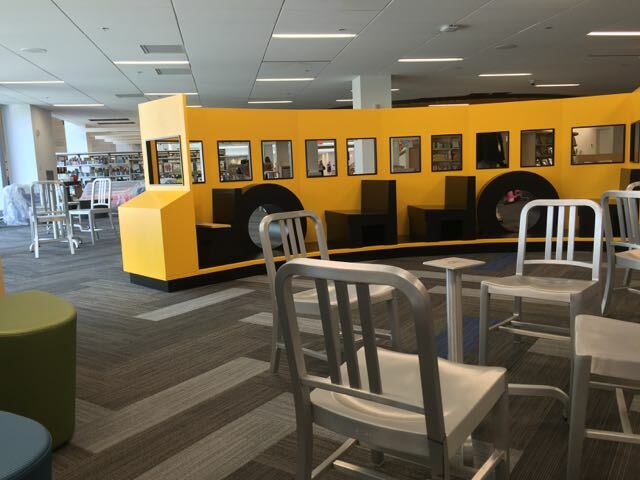 Libraries all over have shifted their focus as technology changes. 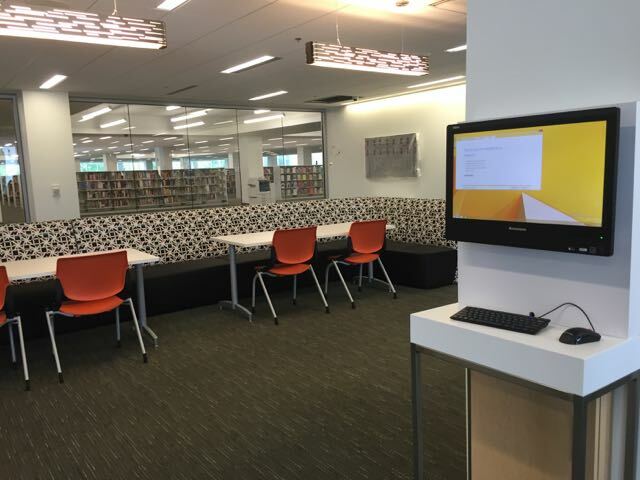 Columbus Metropolitan Library is committed to offering access to technology for those who might not have access otherwise. 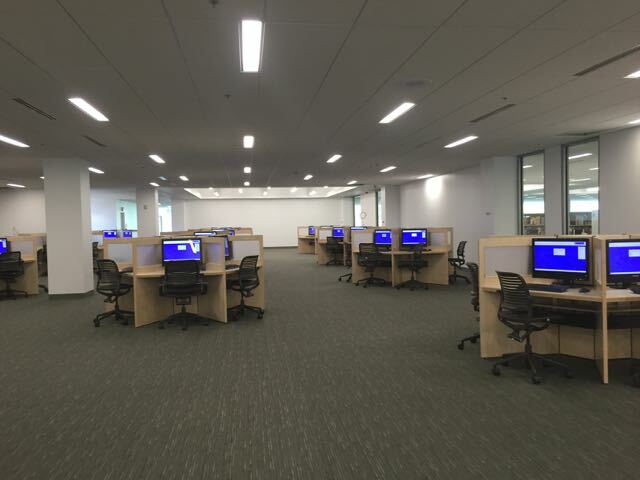 There are 72 public computers on the 2nd floor. The library will offer free faxing and scanning. There will be the option for mobile printing from your cell phone, or even from your home computer to be picked up at the library! 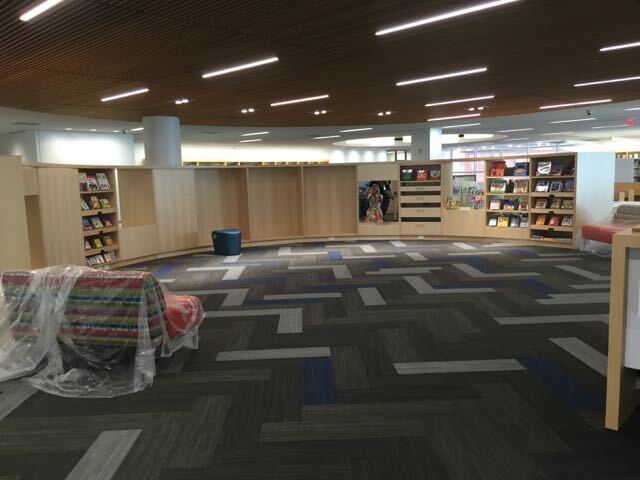 Lest you think the library is no longer focused on books, yesterday we learned that when Main Library reopens, half of the collection will be brand new! 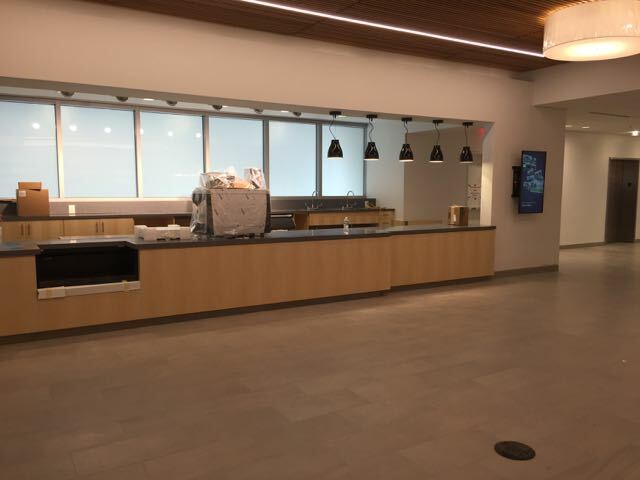 There will be check outs on each floor of the library, 7 meeting rooms (which can be reserved online), 7 quiet study rooms and “15-minute computers” that can be used for a quick email check or print job. I think you’ll find Main Library to be bright, welcoming and an extremely valuable resource for our community. 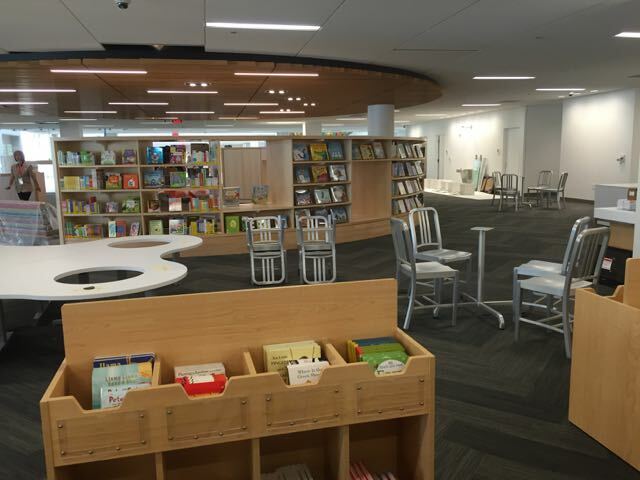 I expect to spend most of my time in the Children’s Department, but after my visit yesterday, I will be secretly trying to figure out how I can get there alone to spend time sitting and reading in the other amazing areas of the library! See you there!